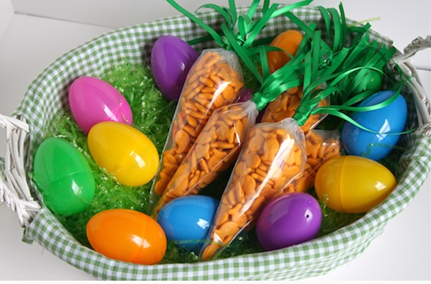 Cute And Easy DIY Easter Basket Carrots! You are here: Home / Holidays / Easter / Cute And Easy DIY Easter Basket Carrots! These Easy DIY Easter Basket Carrots are so adorable and so very easy! But, what a great idea! I LOVE stuff like this, but, I am soooo not crafty! I saw this on another blog and I couldn’t resist sharing it with you! For the complete directions, head over to A Cowboys Wife to check it out!